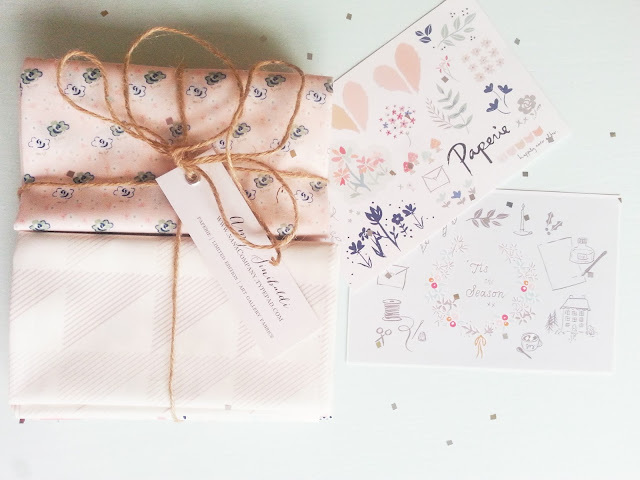 I'm so flattered that the uber talented Amy Sinbaldi from Nana Company asked me to participate in her blog tour for her first fabric line, Paperie. A soft and sweet palette, I was so inspired by it! I played around with a few ideas and ultimately wanted to make a mini and wanted to use hexies, but in a new way. Then making a circular shape really got some ideas going! I get a little enthusiastic over the process sometimes, lol! Thanks for stopping by! 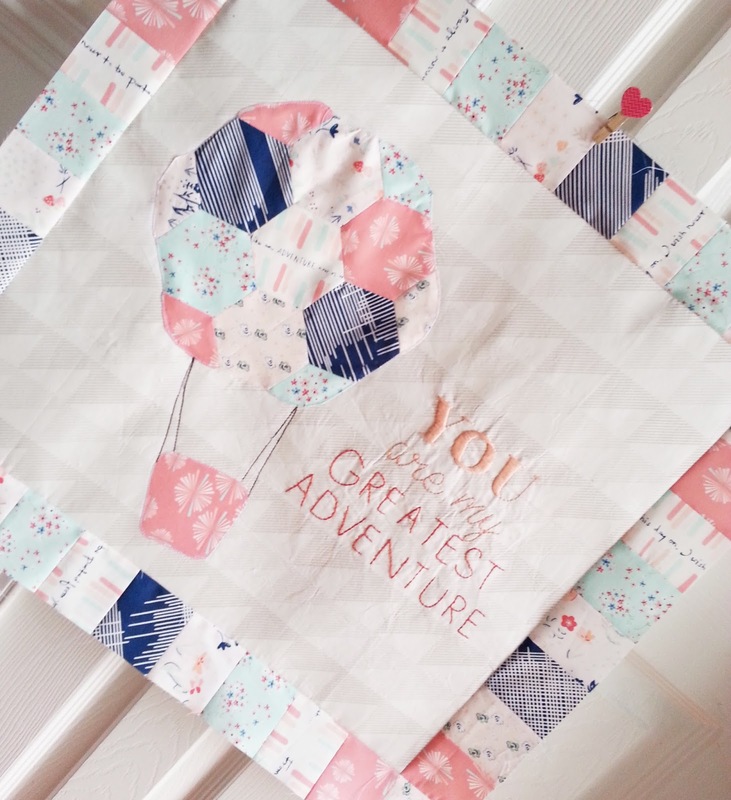 Below is the full blog tour list to see lots of Paperie projects. Make sure to check out Nana Company as well. And now on to our regularly scheduled Fabric Tuesday's. If you're new feel free to link up any fabric related projects below! How sweet! 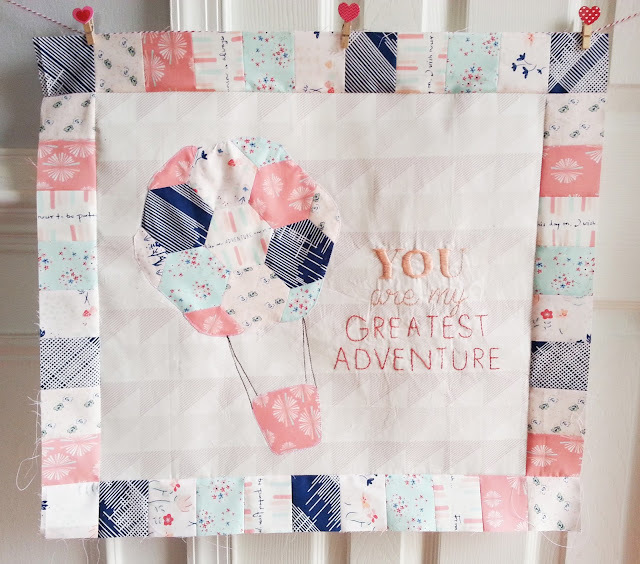 I absolutely love the hexie balloon! You truly were inspired! So adorable. It will look sweet in your little girl's room. And isn't that the truth? They are our greatest adventures! My daughter is in college now, but your quilt brought back so many sweet memories. I'll remember this one. 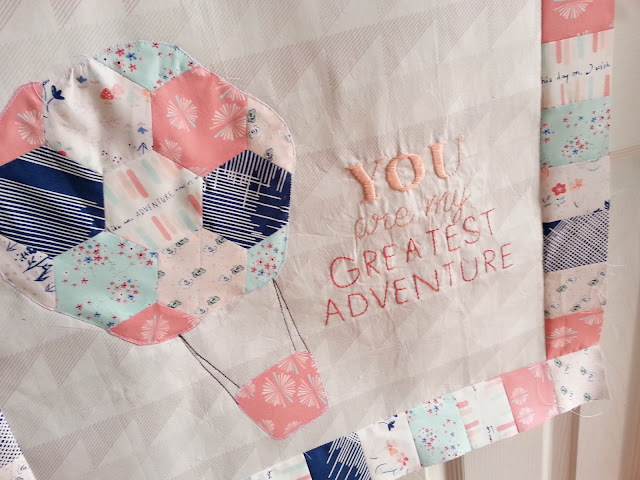 Such a cute idea to redo hexies in a hot air balloon shape! I love it - it really is perfect for a little girl's room. This is adorable and really such a great treasure. What an adorable project! I love this! HI! such a neat project>love it! Thanks for sharing "Paperie"! Is this your original design? I have a grand daughter who has a hot air balloon nursery....Love to purchase your pattern....Just bought the fabric...Thank you for the inspiration....Wonderful! so spot on, I love everything about this mini! Thanks Megan! Very adorable mini!!! I love your favourite saying... It's uplifting!! This is very cute! I love the saying and the hot air balloon! Love the hot air balloon. Love your Hexie Balloon too! You are soooo Creative! Beautiful job! I love this quote too! Your mini quilt is beautiful and I love the hot air balloon with all the pretty little hexies. Your hand stitching is amazing! Love it! My daughter is having her first baby in a month, a girl, and hot air balloons go over their house all the time! Would it be okay to make something from your inspiration? Such a unique use of hexies! I've never seen a hexie hot air balloon before. Thanks for sharing. Your square with the balloon is very cute. Love these fabrics. Thanks. How sweet is that? I love your mini! That hot air balloon is a brilliant Henie idea! Cheap Tulle: Thank you! I appreciate you and hopping for some more informative and interesting posts. Thank you for sharing and providing new ideas on how to use this beautiful line of fabric. Ohhh I love that hot air balloon!! Pinning this so I can admire it for some time to come...and if I ever get the confidence, or time, I'm going to try that hot air balloon. What a splendid project!!! I love love love it!! Fabric Tuesday! Come on over! I Love Log Cabins; new book collaboration!